We were on Blackgate Road fairly early (after first dropping off yesterday's annex poles). 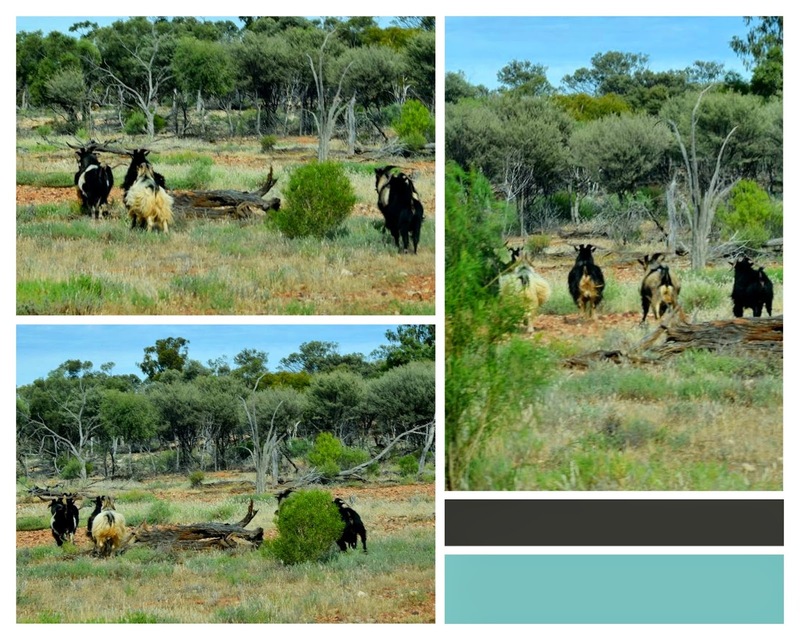 These billy goats dashed across the road quite soon after we started the drive and we saw other wildlife too. We didn't spot any more annex poles, although we were constantly looking. In fact Nick and I were both watching one "pole" on the road but as we got closer it wriggled and then snaked off!! Our only other find was a horse racing form guide by the roadside. Vaughan observed "it's no wonder they discarded it, there's only one horse in town"! (Tis true, there is one horse kept at Yowah, near the fossicking area).